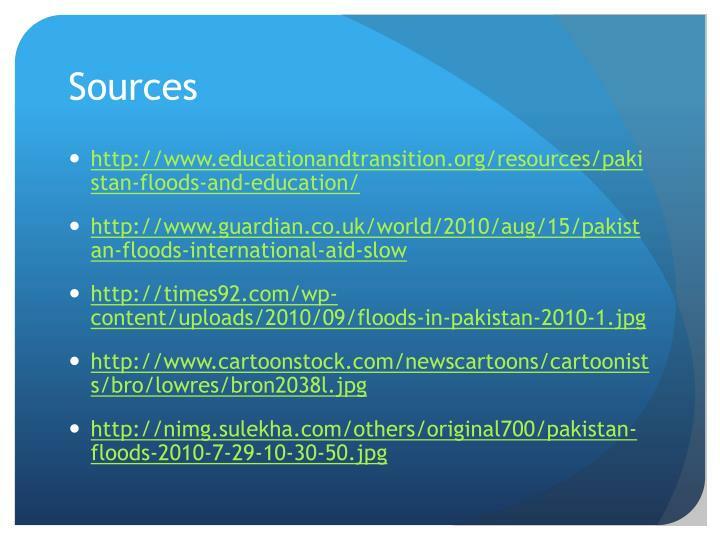 Pakistan Floods of 2010. 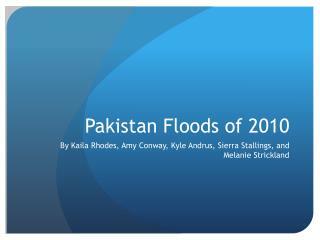 By Kaila Rhodes, Amy Conway, Kyle Andrus, Sierra Stallings, and Melanie Strickland. 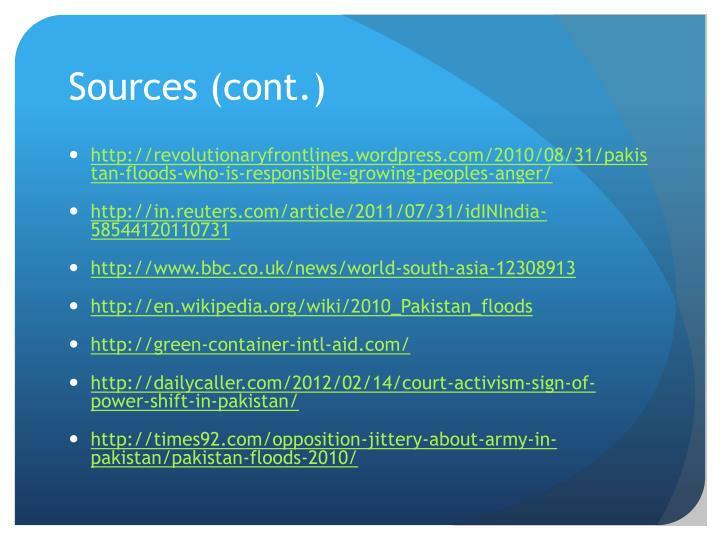 The Devastating Floods of 2010. 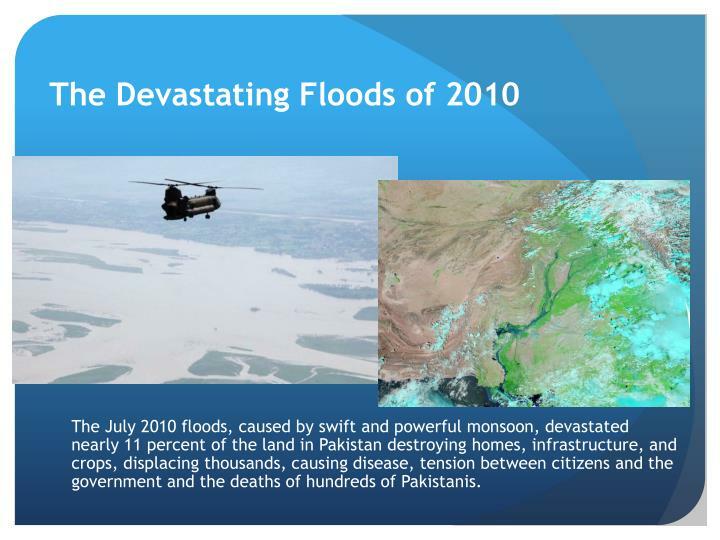 The July 2010 floods, caused by swift and powerful monsoon, devastated nearly 11 percent of the land in Pakistan destroying homes, infrastructure, and crops, displacing thousands, causing disease, tension between citizens and the government and the deaths of hundreds of Pakistanis. 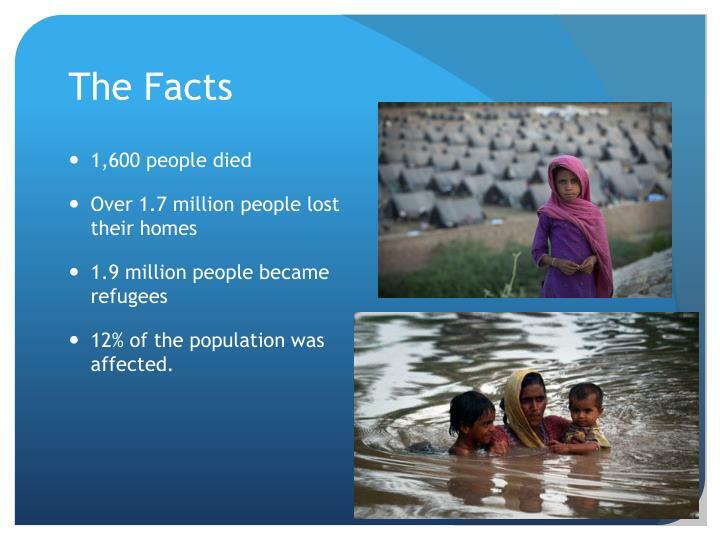 12% of the population was affected. 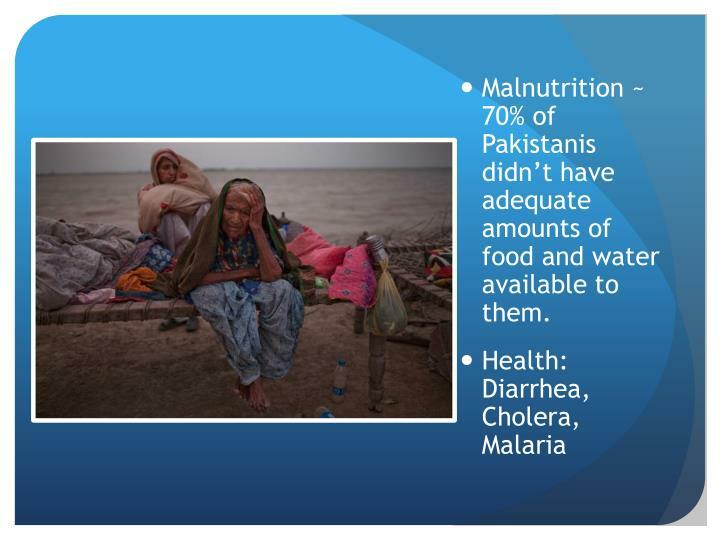 Malnutrition ~ 70% of Pakistanis didn’t have adequate amounts of food and water available to them. 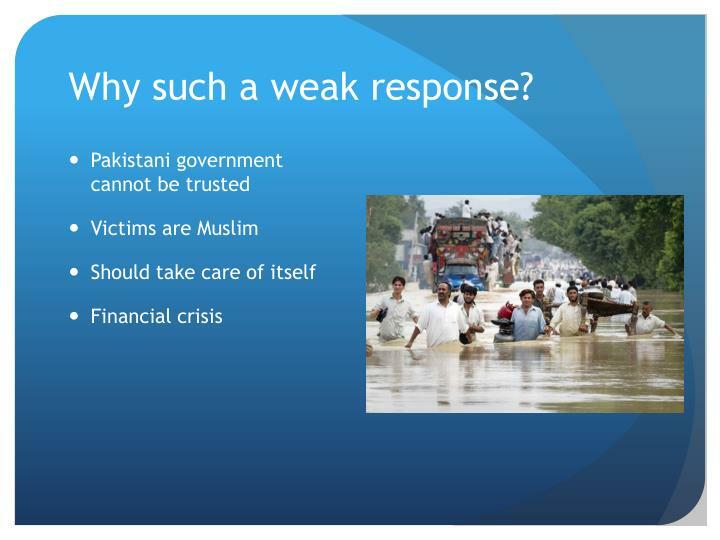 Loss of faith in leaders because of poor aid and relief given. 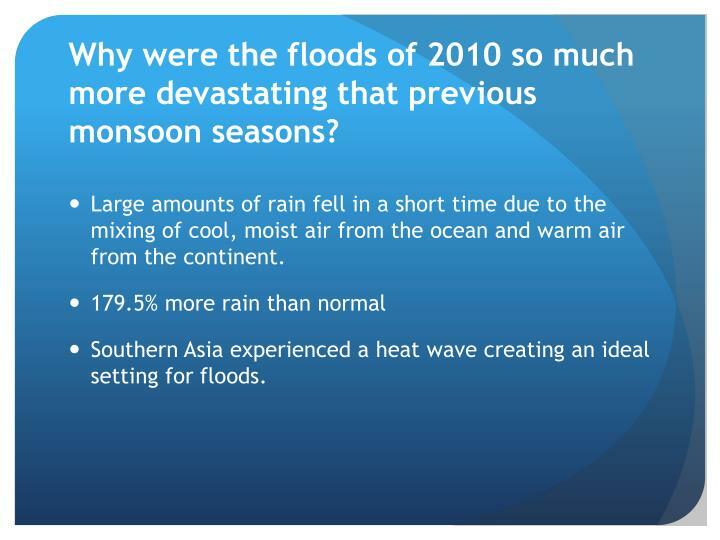 Why were the floods of 2010 so much more devastating that previous monsoon seasons? Large amounts of rain fell in a short time due to the mixing of cool, moist air from the ocean and warm air from the continent. 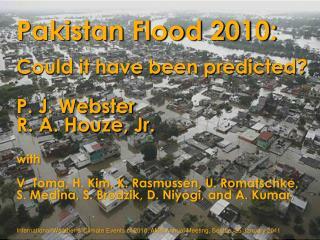 Southern Asia experienced a heat wave creating an ideal setting for floods. 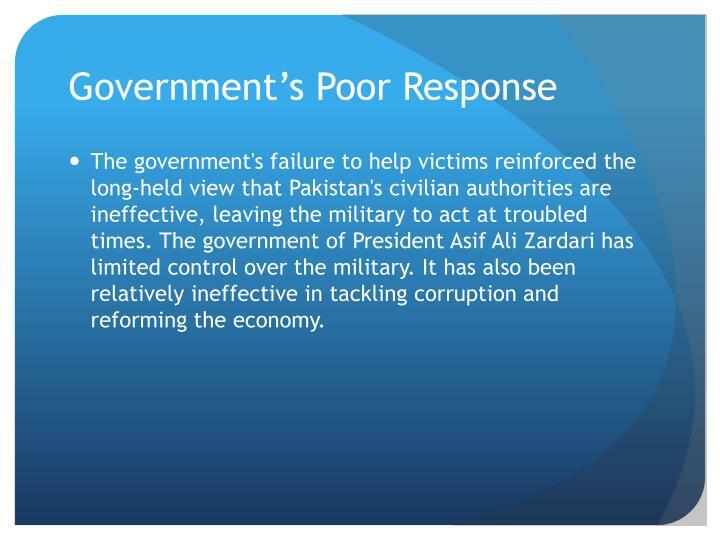 The government's failure to help victims reinforced the long-held view that Pakistan's civilian authorities are ineffective, leaving the military to act at troubled times. 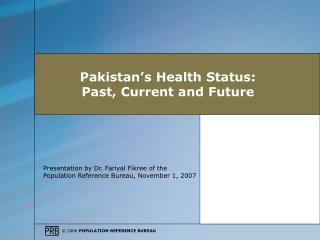 The government of President Asif Ali Zardari has limited control over the military. 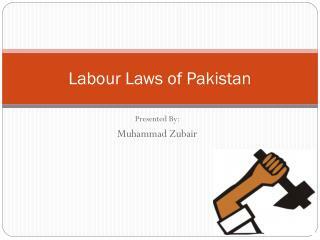 It has also been relatively ineffective in tackling corruption and reforming the economy. 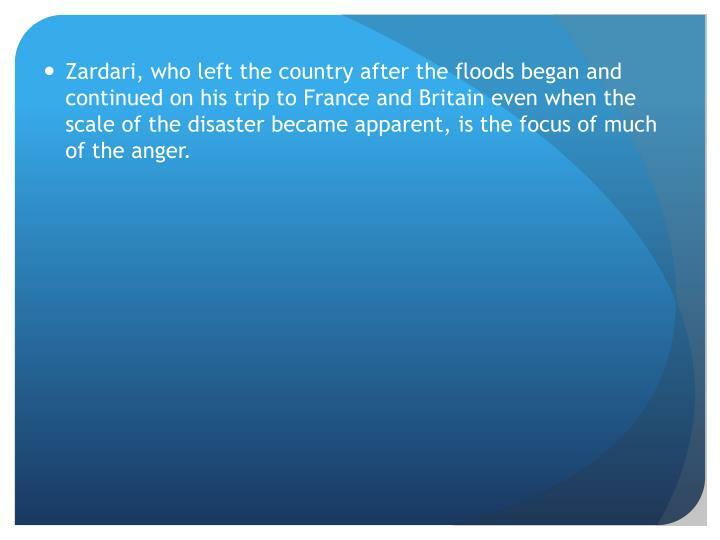 Zardari, who left the country after the floods began and continued on his trip to France and Britain even when the scale of the disaster became apparent, is the focus of much of the anger. 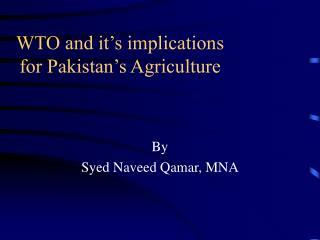 With the government overwhelmed by the scale of the disaster, Islamic groups, including extremist organizations such as Jamaat-ud-Dawa, have stepped into the gap. 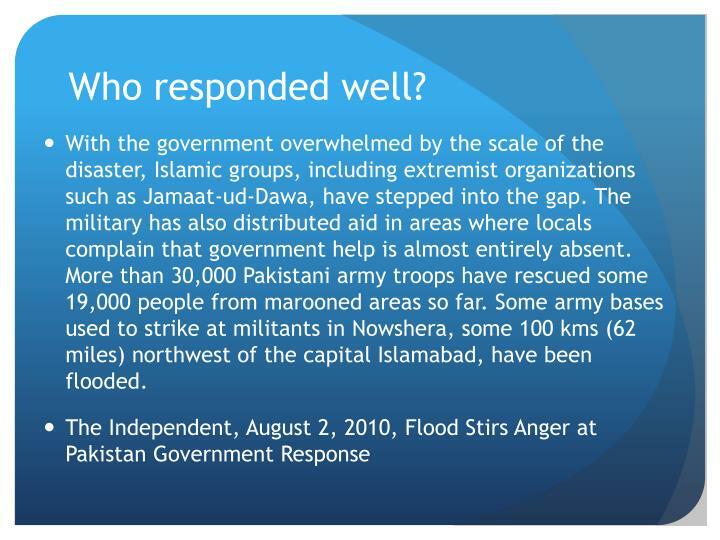 The military has also distributed aid in areas where locals complain that government help is almost entirely absent. 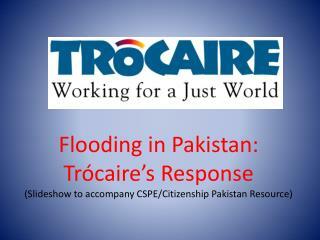 More than 30,000 Pakistani army troops have rescued some 19,000 people from marooned areas so far. Some army bases used to strike at militants in Nowshera, some 100 kms (62 miles) northwest of the capital Islamabad, have been flooded. 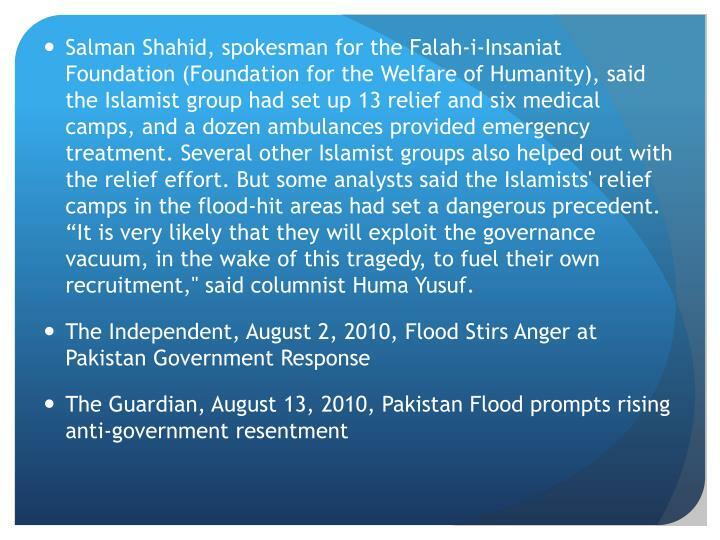 Salman Shahid, spokesman for the Falah-i-Insaniat Foundation (Foundation for the Welfare of Humanity), said the Islamist group had set up 13 relief and six medical camps, and a dozen ambulances provided emergency treatment. 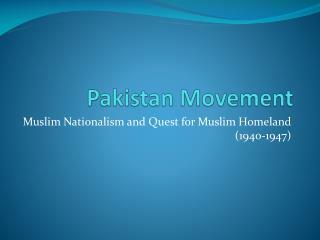 Several other Islamist groups also helped out with the relief effort. 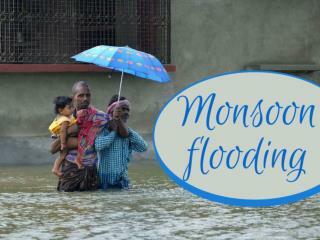 But some analysts said the Islamists' relief camps in the flood-hit areas had set a dangerous precedent. “It is very likely that they will exploit the governance vacuum, in the wake of this tragedy, to fuel their own recruitment," said columnist Huma Yusuf. 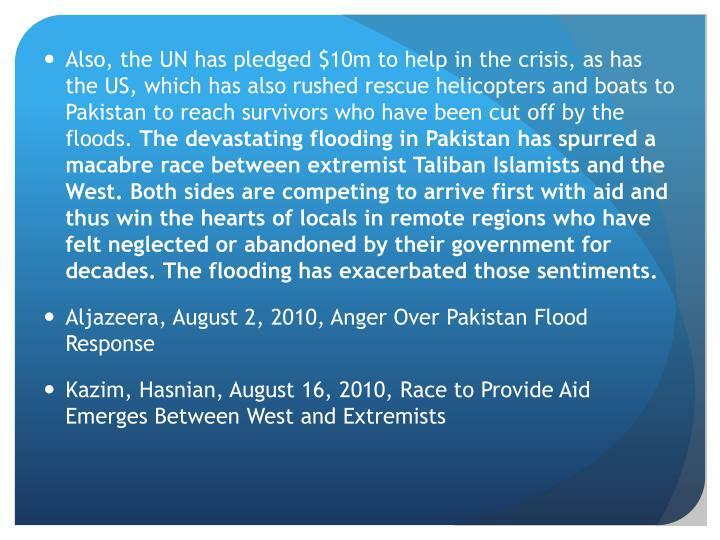 Also, the UN has pledged $10m to help in the crisis, as has the US, which has also rushed rescue helicopters and boats to Pakistan to reach survivors who have been cut off by the floods. 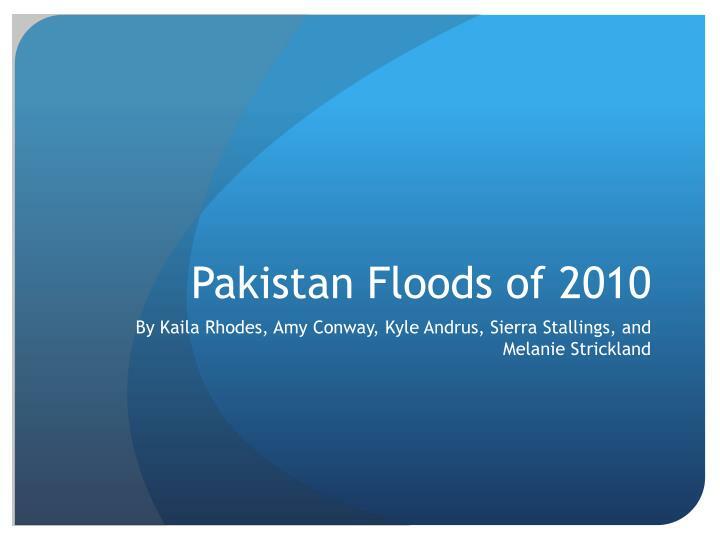 The devastating flooding in Pakistan has spurred a macabre race between extremist Taliban Islamists and the West. 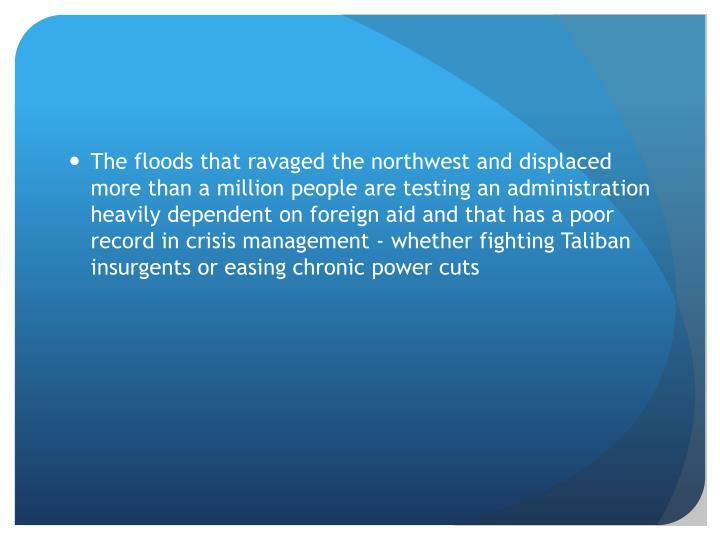 Both sides are competing to arrive first with aid and thus win the hearts of locals in remote regions who have felt neglected or abandoned by their government for decades. 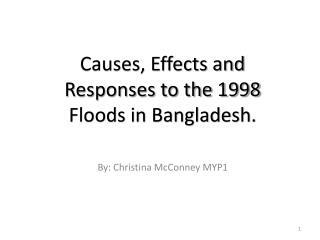 The flooding has exacerbated those sentiments. 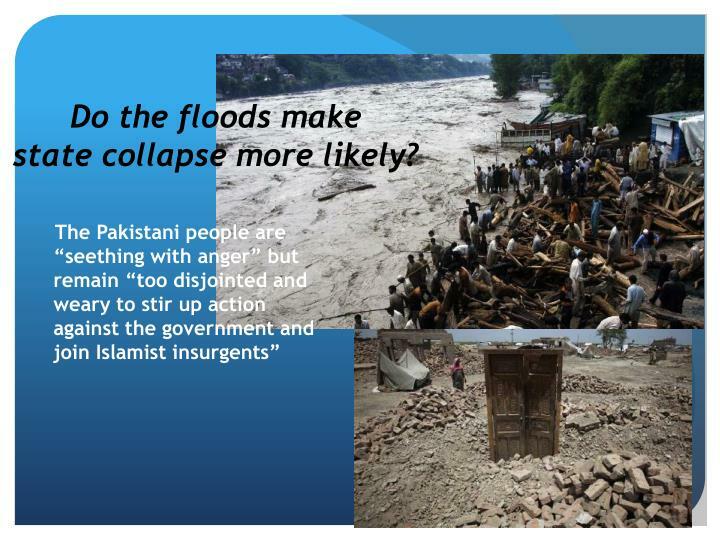 What impact will the floods have on the future of Pakistan? 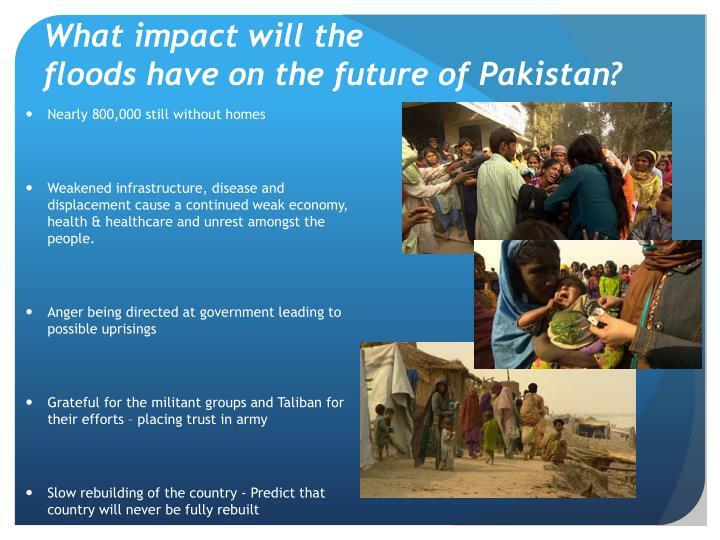 Weakened infrastructure, disease and displacement cause a continued weak economy, health & healthcare and unrest amongst the people. 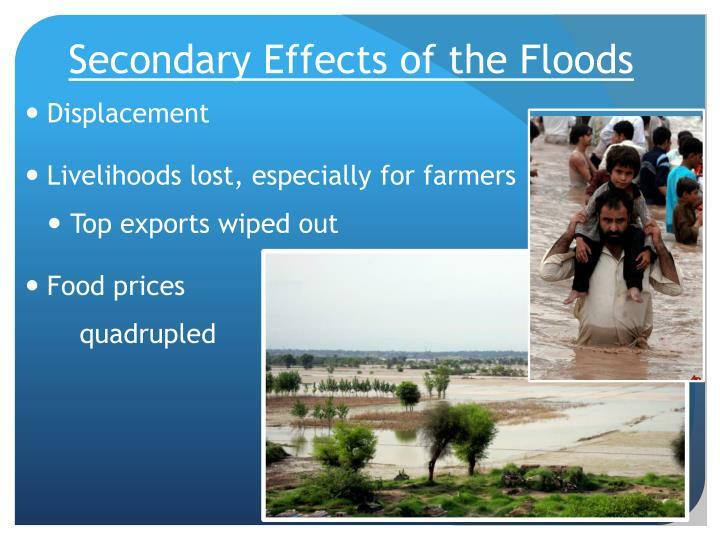 Do the floods make state collapse more likely? Why such a weak response? 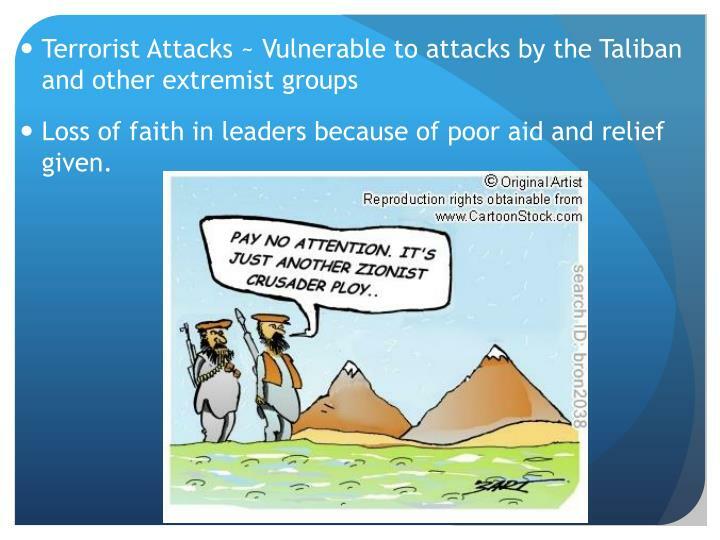 Taliban and Al Quaida reputation. 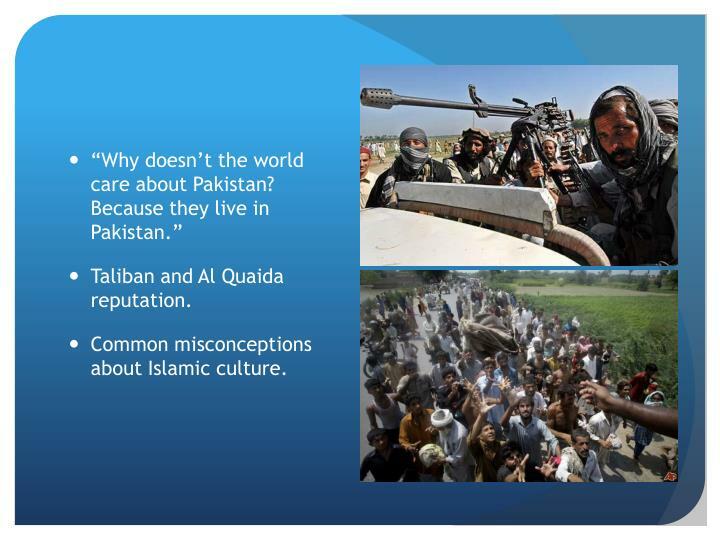 Common misconceptions about Islamic culture. 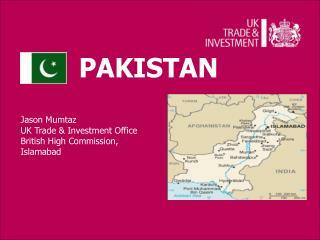 Thanks to Pakistan’s bad image, the people suffer. 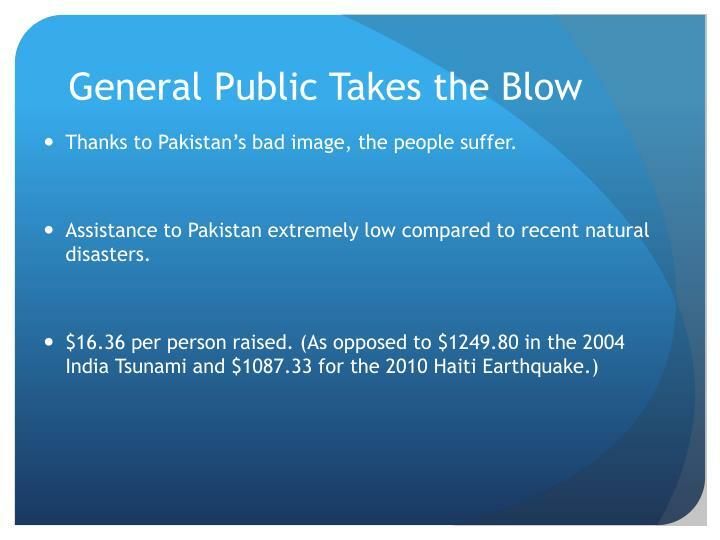 Assistance to Pakistan extremely low compared to recent natural disasters. 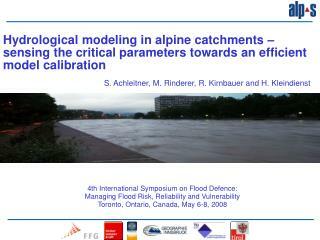 4th International Symposium on Flood Defence: Managing Flood Risk, Reliability and Vulnerability -Hydrological modeling in alpine catchments – sensing the critical parameters towards an efficient model calibration. 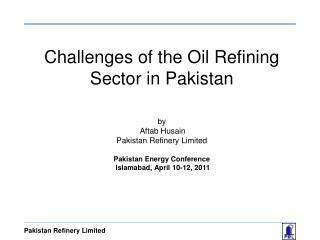 s. achleitner, m. rinderer, r.
Islamization in Pakistan -. 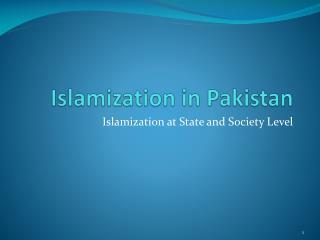 islamization at state and society level. outline. 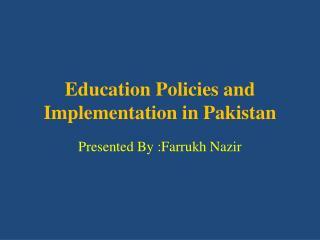 what is islamization process of islamization pre partition in constitutions of pakistan zia era at society level epilogue. 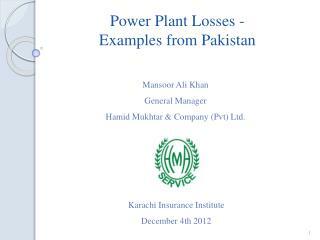 Ⅰ. Disasters in China Ⅱ. 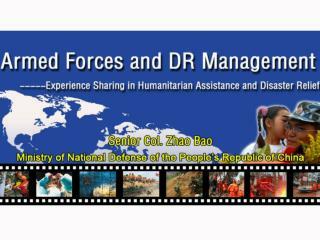 Disaster Relief Operations by the Armed Forces -Ⅰ. disasters in china Ⅱ. disaster relief operations by the armed forces Ⅲ. cooperation in disaster relief Ⅳ. capabilities building. 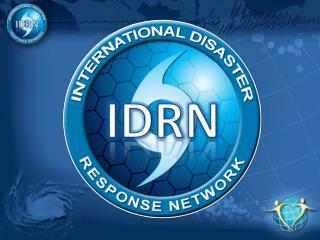 Ⅰ. disasters in china. 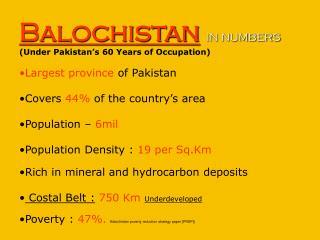 Poverty in Pakistan -. 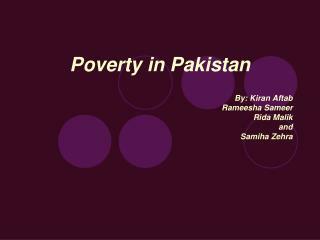 by: kiran aftab rameesha sameer rida malik and samiha zehra.